4-Word Review: Two vaudevillians rob bank. Harry and Walter (James Caan, Elliot Gould) are two down-on-their-luck marginally talented comedians living in the 1920’s who go to jail when they’re caught trying to rob their audience members during a tacky onstage ‘psychic’ stunt that goes horribly wrong. While in the slammer they meet up with Adam Worth (Michael Caine) a rich man from society’s upper crust who enjoys robbing banks just for the thrill of it. They come upon the blue print for his next proposed heist and take a picture of it and then after they escape from jail challenge Adam on who will be able to rob the bank first. This is one of those 70’s movies that I found to be refreshingly original and quite funny, but when it was released it was met with harsh reviews and was a bomb at the box office. 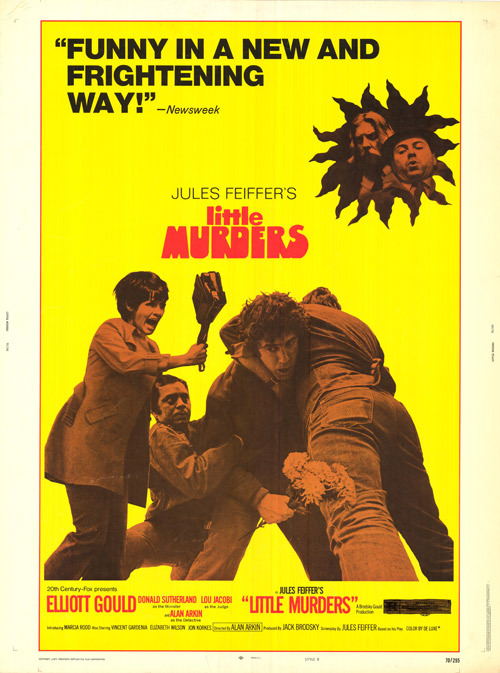 After some bad test audience reactions it was heavily cut much to director Mark Rydell’s dismay who felt a lot of the better jokes went missing although producer Tony Bill and star Caan blame Rydell for the film’s failure and insist that much of the humor in the original script was never even filmed or used. I can’t explain why the film didn’t do well as I personally found as bank heist movies go this one to be quite unique. So many bank robbing films from that era, and even today, paint the scheme in a one-dimensional way by portraying the robbers, who we are usually supposed to sympathize with, as a modern-day Robin Hood, while the cops and those out to stop them are represented as being the greedy,oppressive establishment, but this film takes things a step further, which is what I found interesting. The competition aspect gives it an extra.,likable edge and really made me want to root for Harry and Walter and their gang of losers who take on the arrogant Caine and his snotty buddies. Instead of the viewer just being intrigued at how they’re able to pull of the robbery as is the case with most heist films we are much more emotionally invested with its outcome. Caan and Gould are what Warren Beatty and Dustin Hoffman should’ve been in Ishtar. These guys are definite losers, but still appealing and comical at the same time. Caan has never been known for his comedy and he has referred to this movie as ‘Harry and Walter Go to the Toilet’, which is a shame because he shows nice energy here and is able to keep Gould in check by not allowing him to drone on and steal the spotlight as he can sometimes do when left alone or with a less capable co-star. If the film fails at all it’s by entering in too many supporting players. The title mentions only Harry and Walter and they should’ve pulled off the heist alone with maybe only Keaton tagging along for balance. As it is though a whole massive group gets in on it to the point that the two leads have little to do. While the group is busily trying to figure out how to open the safe Harry and Walter are on stage trying to extend a stage play The film still works pretty well despite this issue, but technically the two men should be at the center of the action and in a lot of ways they really aren’t and in fact become almost like supporting players by the end. The film also goes on too long with the denouncement being far more extended than it should, but it’s still a fun, breezy watch that reflects the gilded age flavor well and uses leftover sets from Hello Dolly to enhance the scenery perfectly. 4-Word Review: Mars landing is fake. Due to finding out about having a faulty life support system James Kelloway (Hal Holbrook), who heads the NASA mars mission, decides to have the three astronauts (James Brolin, Sam Waterston, O. J. Simpson) removed from inside the rocket just before it is ready to blast off. He then allows the rocket to take off leaving everyone on the ground with the mistaken impression that the astronauts are still inside. The astronauts later walk onto a soundstage that is made to replicate the mars surface where they pretend to be walking on the planet live on television. As the rocket stays on mars the three astronauts remain trapped inside the NASA space center unable to let even their families in on their secret, but when the rocket returns to earth it gets accidently destroyed. Since the three men are still thought to be inside and since the government wouldn’t want to whole world to know it was a hoax the men are forced to make a daring escape across the hot desert in order to avoid being killed. The script was originally written in 1969 and was an attempt by director Peter Hyams to take advantage of the moon landing conspiracy that was going on at the time, but no studio was willing to take it on, so it took 9 years and a change of planets before it finally got the green light. I’m not a big fan of conspiracy theories as I think a lot of them are too dependent on a great many people working together and being able to keep a secret in order for them to be pulled off. Since it’s hard for just two people to pull off a crime such as a murder without one eventually turning on the other, or breaking down under pressure, then it’s even harder to believe hundreds could keep quiet it in order to successfully pull off the so-called moon landing hoax, or that at some later time one of them wouldn’t have divulged the secret to a family member, friend, or even anonymously to the press. In either case it’s an entertaining movie for the most part although the first hour is spotty and it only really gets gripping during second-half. To some degree I thought it would’ve been more interesting had the focus been on the people setting up the ruse and working to make the soundstage look like mars than on the astronauts. It also might’ve been more impactful to the viewer had they been given the idea that the landing was real and only when the men are seen walking on the mars surface does the camera pull back to show that it was all fake instead of revealing the conspiracy right from the start. The problem that I had though was with Elliot Gould’s character. Don’t get me wrong I liked the way he plays the part as a sort-of disheveled, loser hero who strikes out with the ladies, but the fact that the government is on him so quickly and trying to kill him before he has even written one single report about the mars landing makes little sense. Later on he gets bailed out of jail by his boss, played by David Doyle, who openly admits to hating Gould and immediately fires him the second he pays his bail, but why spend company money on someone you don’t like and don’t want working for you? The ending features a well photographed aerial chase through the skies that is very exciting, but the wrap-up in which James Brolin, who is the last surviving astronaut that manages to escape the deadly clutches of the government and appears to shock of everyone at his own funeral seems to ruin the premise. For conspiracy theories to hold their mystique there needs to be the idea that the bad guys were able to get away with it and that it is actually possible to successfully kill off all the possible leaks and manage to hold the rest to strict secrecy. By having someone survive only proves the point that I made earlier and thus makes all those other conspiracy theories that permeate modern culture seem dubious as well because mostly likely the same result would’ve ultimately happened with those that happened with this one. 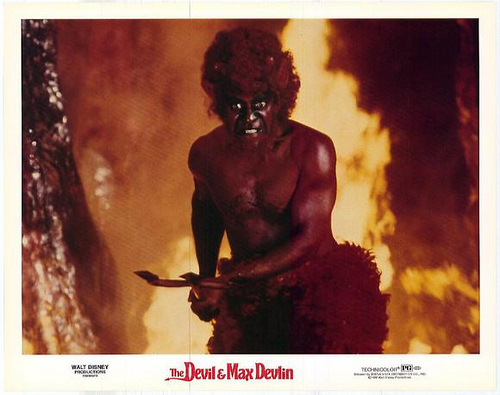 4-Word Review: Working for the devil. Max (Elliot Gould) works for a slumlord and does whatever he can to make life miserable for the tenants who rent from him. 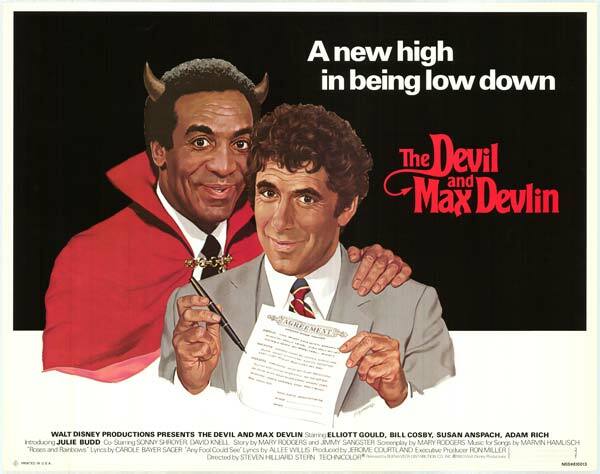 After getting run over by a bus while trying to chase down a delinquent tenant he finds himself in hell and face-to-face with the devil (Bill Cosby) who gives him a deal that will allow him to get out of dealing with ‘Level 4’, which is supposedly one of the harsher penalties for hell dwellers. The deal consists of Max getting three people to sign over their souls at which point Max’s will be freed, but as Max gets to know the people including that of 10-year-old Toby (Adam Rich) whose mother Penny (Susan Anspach) he is interested in marrying he becomes reluctant to follow through with it. This movie was part of Disney’s effort to break away from the kiddie-like slapstick of their 70’s films and become edgier and more ‘hip’. This film along with The Black Hole, Condorman, and Tron where all produced to attract an older teen audience and gain a trendier appeal, but it pretty much failed and this movie was the worst of them. Part of the problem is that the main character is a man in his 40’s, which kids and teens cannot relate to. Most films need to have a protagonist the same age as its intended audience in order to build that connection and this one doesn’t. It’s also very slow with little or no action. I found myself completely bored with it during the second hour and I can only imagine what a 10 or even 13-year-old must have felt. The humor is minimal and not funny. It also lacks any type of ‘coolness’ with a plot that isn’t any more sophisticated than the formulaic stuff it had already been churning out, which at least was engaging on a mindless level, which this one isn’t. I liked the scenes shown from hell, but that is about it. The script, which was written by Mary Rodgers who had earlier success with Freak Friday seems unable to understand things from a teen’s perspective while being quite predictable in the process. Also, the reasons for Max going to hell, which include cheating on a test in the 4th grade and stealing candy from a store as a child seem awfully trite. If hell truly does exist and minor stuff like that is enough to get people sent there then the majority of us will be going and heaven will be a very empty place. Gould does surprisingly well, but I still felt he was miscast. Cosby is wasted and barely even used although the scene near the end where he appears in devilish makeup is effective and creepy. Anspach is equally wasted and Ronnie Schell who plays as an aggressive talent agent wearing some very loud suits is seen much too briefly. This one is a definite pass even for Disney fans. It’s too edgy and scary for little kids, not hip enough for teens while being too watered down for adults. 4-Word Review: I liked the owl. Vashti Blue (Whoopi Goldberg) is an out-of-work actress sitting inside her dreary small apartment and having conversations with people over the phone. She also argues through a locked door that she shares with the women next door while waiting for a call from an agent for a job opportunity that never comes. I am all for experimental cinema, which is the best way to describe this misguided project, but to work it still needs an artistic design and focus and this has none. It pretty much comes off as somebody’s cheap home video where a camera is turned on and then someone is allowed to rant and rave without pause for eighty minutes. Some could blame Rip Torn who is an actor turned first-time director here, but in subsequent interviews he has complained that Whoopi wouldn’t listen to any advice or direction that he gave and pretty much made his presence insignificant. 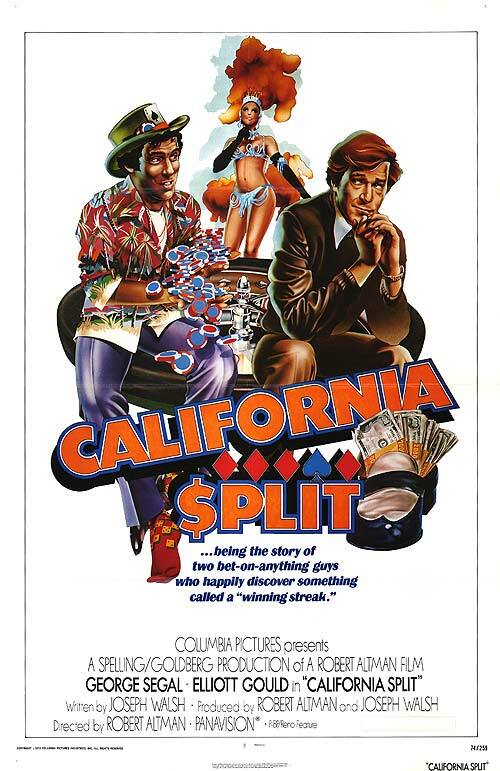 You could also blame the screenplay, which was written by the very odd pairing of Terry Southern and Harry Nilsson. Southern is best known for penning the screenplay for Dr. Strangelove while Nilsson is a famous singer/songwriter whose best work was doing the song ‘Everybody’s Talking’ that was the theme for the classic film Midnight Cowboy. However, Whoopi took great liberties with the material and ad-libbed a lot, so what was originally put down on paper and what is left on the screen could be minimal. 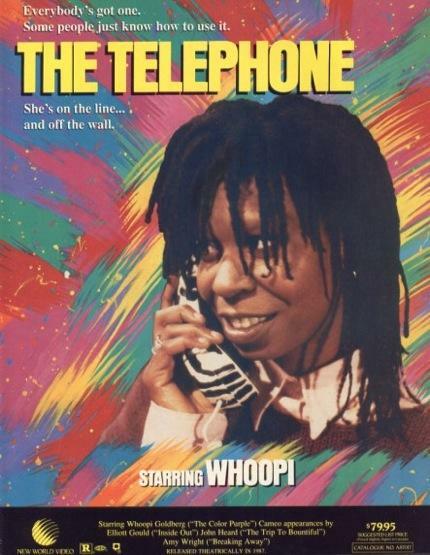 The conversations that Whoopi has over the phone ranges from lame to ridiculous. One includes calling the police and trying to get them to arrest a video store owner because he rented her a tape of Christmas in July with a scene excised is too absurd to be even remotely amusing. The Whoopi character also incorrectly stated that Frank Capra was the director of the film when it reality it was Preston Sturges. Goldberg puts on a variety of accents including British, Japanese, Indian, and Southern as well as a few others, but her Irish one is suspect and her impression of John Wayne is terrible. The apartment set is dull and bleak. The viewer feels trapped and with such little visual design their eyes and thoughts are apt to wander. Cutaways are sorely needed, but there are none. An infuriating moment is when there is a sound of a loud car pile-up outside, but despite this being a visual medium the camera never cuts away to show any of it. This was probably due to budget constraints, but what is even more perplexing is that there are sounds of people screaming, police sirens and even rioting and then a half minute later it all suddenly stops for no explained reason. The supporting cast is eclectic but wasted. Noted character actor Severn Darden, in his last film role, appears in a brief bland bit as Whoopi’s neighbor. 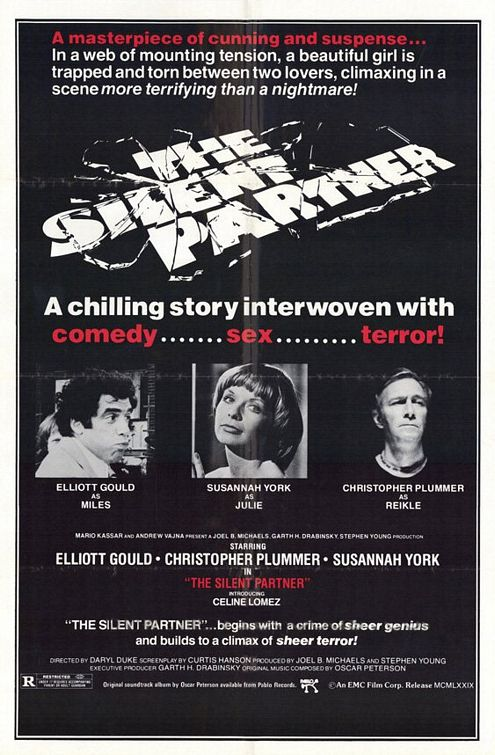 Elliot Gould gets a few minutes as Whoopi’s former agent and seems to be seriously slumming as he was a headline star during the seventies and now sadly stuck in this. John Heard is the only one who comes off best as a caustic, brash telephone repairman. Whoopi’s two pets upstage the human cast by a mile. Her pet owl is very cute and I dug the goldfish particularly when he gets sucked down the drain of her bathtub and she must use a plunger to save him, which is the only time there is any action in the entire movie. 4-Word Review: Bank teller outsmarts robber. This is an ingenious, slick, and really fun caper movie that puts a whole new spin on the old bank robbery theme. 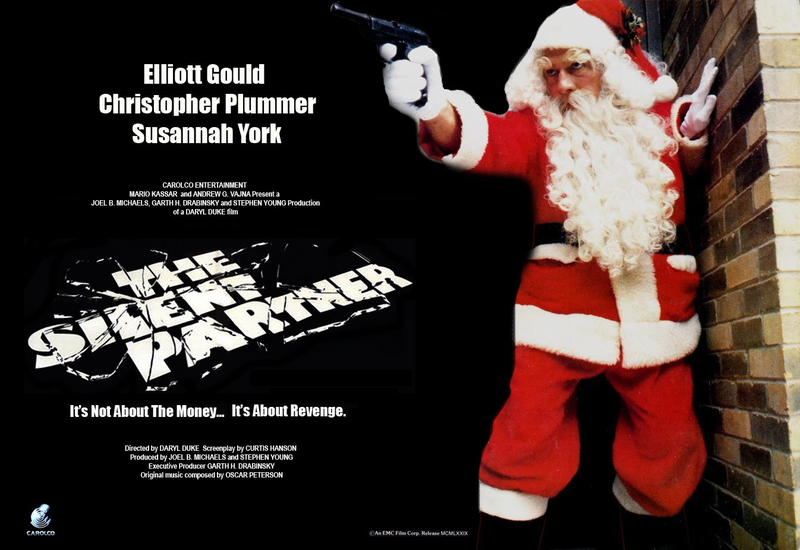 Here Elliot Gould plays a bank teller named Miles who, by sheer accident, becomes aware that a man named Harry (Christopher Plummer) is planning on robbing his bank. Miles decides to take the money from his till and put it into his lunchbox. Then when Harry robs the bank it is actually Miles the teller that gets the money while Harry goes away with very little. Yet this is only the beginning as Harry and Miles continue to play a crafty game of cat- and-mouse, which leads from one interesting twist to another. Gould plays against type here and he does quite well. Usually he tends to be loud, argumentative, and anti-authority, but here he is quiet and unassuming. It’s the type of character you think wouldn’t have the guts to pull off what he does, which makes him all the more intriguing. In fact he just keeps surprising you all the way along, stringing the very psychotic and dangerous Harry in ways you couldn’t imagine. It is only his final move that seems to be testing the odds too much. Plummer makes a terrific adversary. He is dashing and handsome as ever, but with an intensely sinister edge and an icy cold gaze. Susannah York as Miles’ love interest Julie is wasted. Her character seems thrown in for good measure and at no time seems interesting. There is no chemistry between them and the whole love angle is forced and unnecessary. Celine Lomez, as Elaine the other female character, is different. She is stunningly beautiful and much cagier. She plays between both Harry and Miles and you are never sure which side she is really on. Her acting isn’t spectacular, but she is sensual and has a nice French accent. Her gory and gruesome demise though is unwarranted and works as a drawback to the movie. There are a few other negatives about the film. One is the drab setting that takes place in Toronto and yet we hardly see any of it. Having the bank itself set inside a boring shopping mall is not too visually exciting. The same goes for Miles’s bland apartment. The supporting characters, especially the other bank employees are incredibly dull. Their lines and basic presence all seem to have been written in simply as ‘filler’. A young John Candy plays one of these co-workers and his comic talents are wasted. Still the story is creative and has enough unique twists that it overcomes the technical shortcomings and manages to be a highly entertaining flick.